With September here and Labor Day behind us, we’re officially started into the fall season. It’s a time where work and school pick up again, and we move away from the lazy days of summer. 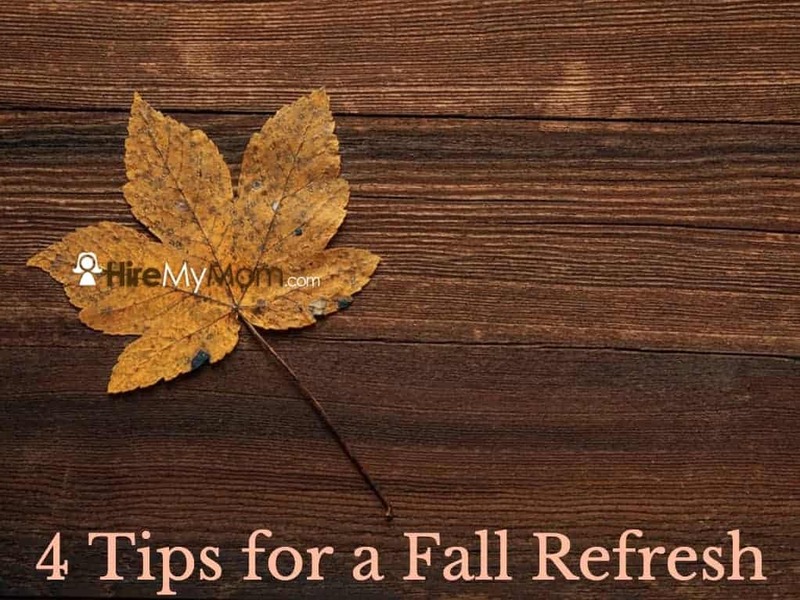 While we’re getting back into our routines and potentially a more challenging workload, it can be a great time for a refresh as we enter this new season. Read along for some of our best tips to refresh your body and mind before we move further into fall. Learning is always a new and challenging way to reboot yourself. Whether your interests lie in fitness or cooking, or potentially computer programming or writing, find something that will take you out of your comfort zone. Often times mixing things up allows us to feel more inspired in our daily life, whether that be personal or professional. You can find classes that are offered locally through your library or community center, or search websites such as Udemy for online classes that you can take from the comfort of your home. A wardrobe update does not have to be expensive! You can visit a local thrift shop for new style choices, or find a nice vintage shop that offers unique, inexpensive goods. Additionally, you can search sites like Poshmark, ThredUp, or Mercari. While you’re doing this, you can also go through your current clothing and figure out what need to go. Especially since we’re through with summer, those clothes can be packed away, sold or donated. Do you have several pieces that you haven’t worn in a year? Have a few articles of clothing that you just don’t like? Take an honest look around and pitch what you don’t need. Whether you sell, donate or give away older items, you’ll feel lighter by clearing the clutter! When you’re looking for a change or refresh in your life, doing good for others can be a great starting point. Not only does it make you feel great, it helps others in need. Look around your community for who needs help, or search your own heart for which causes call to you the most. Are you an animal lover? Volunteer for a few hours at the local shelter each week. Love kids? Find a library in search of readers. You can even plan a service day with your friends or family members – clean up a park, build something useful for the community, or hand out food to the homeless. Making time and space for others is very important and always needed, and don’t underestimate the meaning and fulfillment that it will bring to your own life as well. While we’re in the mode of restarting and refreshing, it’s important to put a plan into place. We’re headed into the busiest time of the year – school is back, work is busier, and the holidays will be here before we know it. Making a plan will keep yourself and your family sane! Take a look at where you’re spending your time now, what’s coming up ahead, and how you can plan now so things don’t get too crazy down the road. Start with a nice planner or online calendar program – make completing the days part of your daily life. Get into the habit of time management and calendar planning, as it will make you feel more calm and in control of your schedule. Additionally, it’s just a great habit that will carry you further in your personal and professional life.